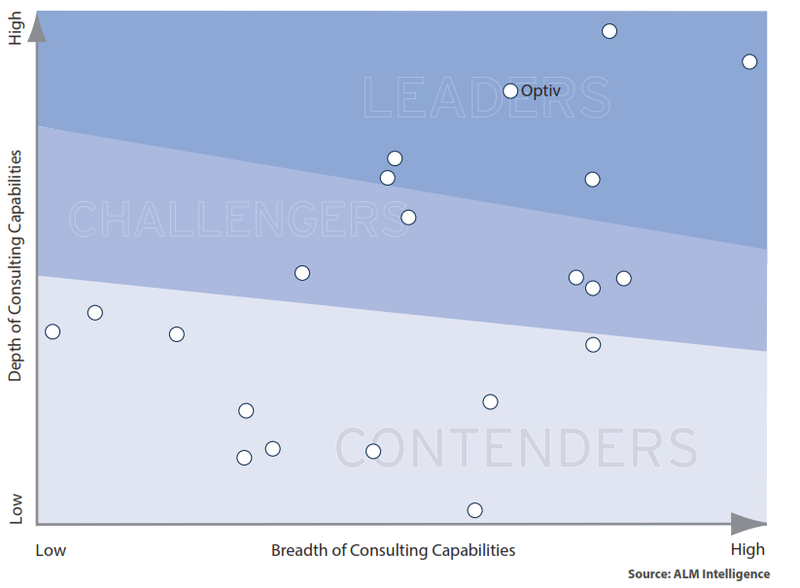 Optiv also scored strong in the needs assessment, internal client insight, strategy, management system and client capability development categories. The ALM Vanguard of Cybersecurity Consulting Providers report assesses 21 firms in terms of their relative ability to create impact for their clients. Firms identified as leaders in the cybersecurity consulting space are able to guide their clients from both a business and technology perspective. These providers start by aligning overall business objectives with the cybersecurity strategy and facilitate and educate the process from the board and C-suite down to the trenches. They are unique in their ability to independently execute end-to-end projects across the full spectrum of client contexts. To view additional details on Optiv’s inclusion in the 2017 ALM Vanguard: Cybersecurity Consulting Providers report, a complimentary copy is available for download from the Optiv website. Optiv is a market-leading provider of end-to-end cybersecurity solutions. We help clients plan, build and run successful cyber security programs that achieve business objectives through our depth and breadth of cybersecurity offerings, extensive capabilities and proven expertise in cyber security strategy, managed security services, incident response, risk and compliance, security consulting, training and support, integration and architecture services, and security technology. Optiv maintains premium partnerships with more than 350 of the leading security technology manufacturers. For more information, visit www.optiv.com.